“What’s that man doing parking on the road, he should be on the pavement like all the other Italians!” I groan aloud. What’s this strange statement you may be thinking? Well, I like to walk down the road, it’s less potholed than the path and anyway, there’s usually cars parked on the pavement. Why? Because there is a line saying that they cannot park on the road. Err, what is this madness you may ask? Well, the Italians always park on the pavement in Fiano and I think they are trying to say “I won’t be long, I’m only partly on the road, so don’t give me a ticket.” Meanwhile, we pedestrians, including pushchairs and wheelchairs, use the road. It’s quite simple and now we are so used to it, it’s annoying when someone does things differently! The violet boys and a dejected Juventus player. Anyway, some very good news. 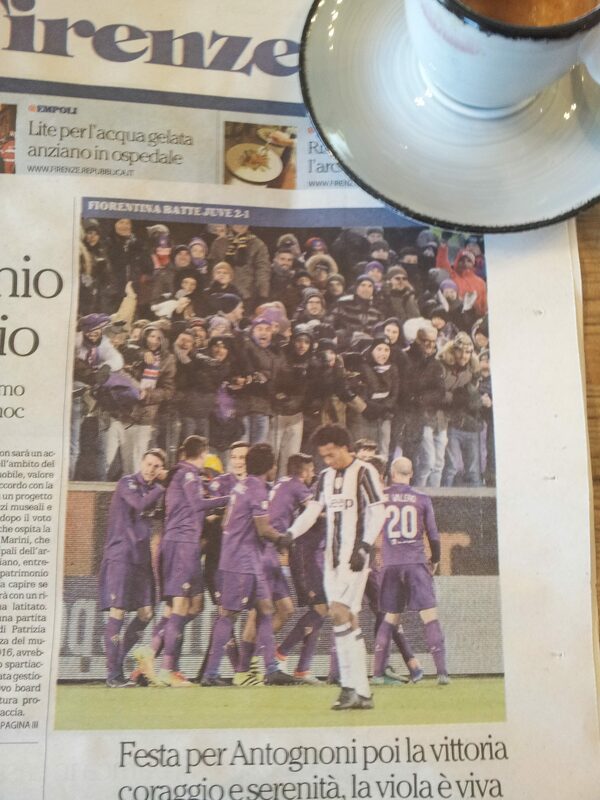 This morning the bar was awash with local football fans celebrating Fiorentino’s win over top of the league Juventus. There is a profound change in the atmosphere of Fiano, who support the boys from Florence in their violet strip and this win was particularly amazing. So, despite the bitterly cold wind and the recent minor earthquake, everyone was in a very good mood. After five days back in England, I was so pleased to be home in Tuscany, drinking decent espresso and eating good food. I had an awful time trying to find a decent meal in Devon and Somerset. Everything was either under or overcooked and far too much salad for these cold winter months! 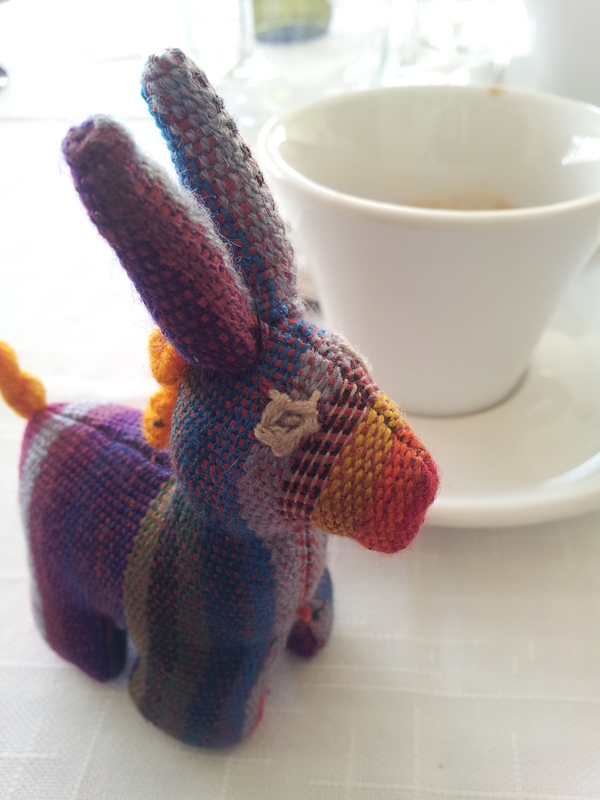 Gianluca at C’era Una Volta ristorante presented me with Walter the Donkey who he had purchased in Guatemala whilst on holiday, a present to go with my coffee, how neat is that! 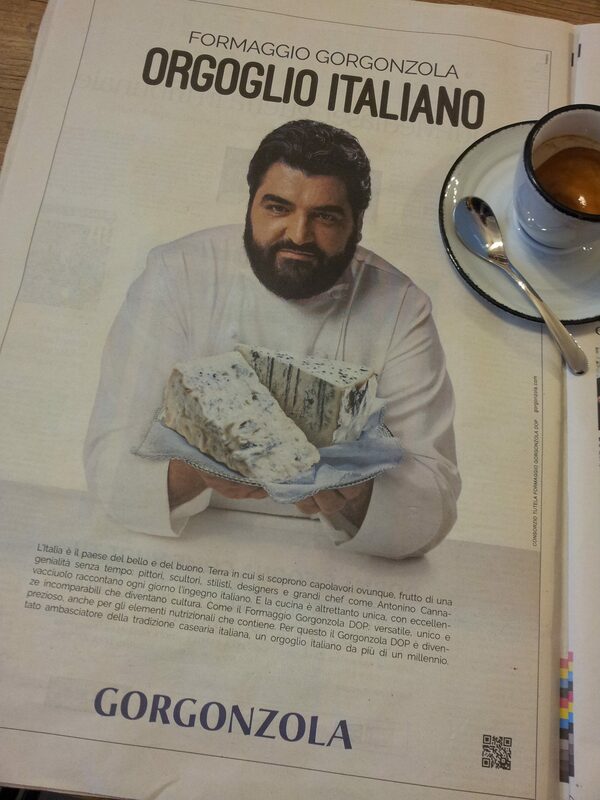 Chunky Hunk and Italian Gorgonzola. Now where was I? Oh yes, I want to mention the fact that many Brits think of parmesan Cheese when I mention living in Italy. Not only do we have a fabulous range of Pecorino, sheep’s cheese, and gorgeous Buffalo Mozzarella, but we also have a mouth-watering Gorgonzola, which this nice man below is demonstrating. I also present him as Chunky Hunk of the month as not all the best looking Italian men are skinny! OK, enough of that. 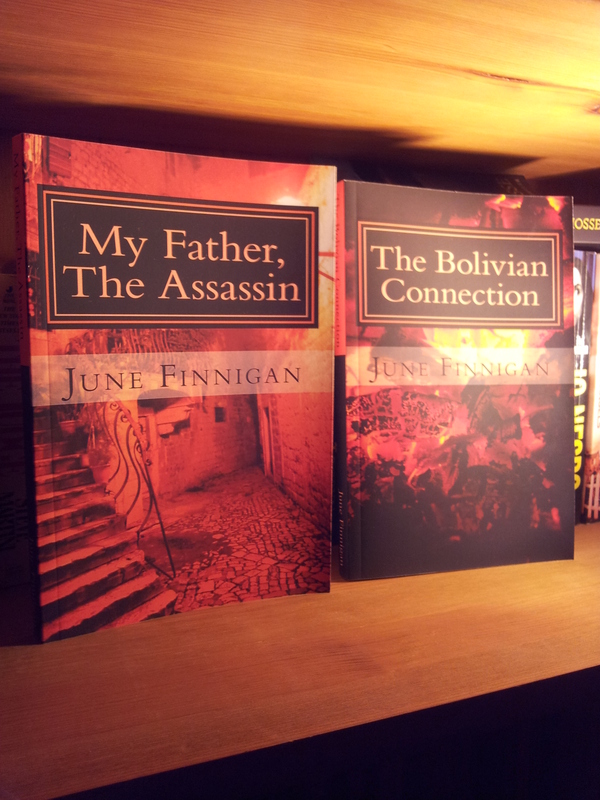 Time to finish the editing of my latest novel and get it published! I know, I keep promising to get it out there, it won’t be long now my friends!